앱택시 기사용 - 24시 언제나 전화 안내합니다. 문의 : 1544-3191 '앱택시'로 부탁드립니다. Taxi app uses top-24 whenyou always telephone directory. Contact: 1544-3191 thank you "app taxi. 특징안심귀가 서비스 - 입력된 전화번호 택시 정보를 전송 서비스모범택시 서비스 - 모범택시 서비스 예약택시 서비스 –원하는 시간 원하는 장소로 택시 서비스 시외택시 서비스 – 도착지 설정으로 장거리 서비스 사용하기1. GPS 를 켠상태에서 앱택시를 실행합니다. 2. 지도상의 고객님 위치가 현재 위치와 맞지 않을때 - 출발지 버튼을 눌러 현재 위치를수정 하세요 또는 -지도 위의 아이콘을 옮겨 고객님의 위치를 수정하세요. ( 현재 위치를 찾기 힘들경우 콜센터 버튼을터치 하면 콜센터로 연결 됩니다)3. 앱택시 신청하기를 꾹~~~ 눌러 택시를 요청합니다. -메모 기능을 이용하여기사님에게 요청사항을 전달 하세요- -더보기 ->안심귀가 서비스를 이용해 보세요 - 택시 품질 향상을 위하여 서비스평가 시스템을 도입하였습니다. (더보기->이용내역&평가) 에서 이용하신 택시 서비스를 평가 해 주세요.고객이 만족 할 때까지 더욱 노력 하는 앱택시가 되겠습니다. 앱택시 기사용기사님과 고객님 그리고 콜센터 모두 상생하는 콜택시 어플리케이션입니다.주요특징1. 실시간으로 고객의 접수를 받을 수 있습니다.2. 기사의 위치를 통해 반경안의 고객을 검색할 수 있습니다.3. 접수시 바로 지도모드로 들어가 쉽게 '고객의 위치'를 파악할 수 있습니다.4. 위치모드를 통해 보다 편한 위치검색이 가능합니다.5. 알림음 설정이 가능합니다.부담없이 전화주세요.문의 : 1544-0005 '앱택시'로 부탁드립니다. 앱택시 기사용 - 24시 언제나 전화 안내합니다.문의 : 1544-3191 '앱택시'로 부탁드립니다.Taxi app uses top-24 whenyou always telephone directory.Contact: 1544-3191 thank you "app taxi. 앱택시 기사용 - 24시 언제나 전화 안내합니다.문의 : 1661-0084 '앱택시'로 부탁드립니다.Taxi app uses top-24 whenyou always telephone directory.Contact: 1661-0084 thank you "app taxi. 앱택시 기사용 - 24시 언제나 전화 안내합니다.문의 : 1644-5116 '앱택시'로 부탁드립니다.Taxi app uses top-24 whenyou always telephone directory.Contact: 1644-5116 thank you "app taxi. 스마트폰을 통해 기사님과 승객을 직접 연결해 드리는 [지자체 공공 사업전용] 콜택시 어플리케이션 "코코택시" 택시기사님의 편의성을 최우선으로 생각한 관계로 아주 쉽고 간편하게 사용하실 수 있습니다. 이제 코코택시 앱을 통해 손님 많이태우시고 안전운전 하세요~ [서비스의 장점 - 완전 무료] 1. 코코택시 기사용 서비스는 무료로 제공 됩니다. 2.스마트폰의 안내를 받아 승객 탑승 위치까지 정확히 안내 합니다. 3. 콜 호출 비용을 승객에게 사전 고지함으로서요금분쟁을 사전에 방지할 수 있습니다. [사용법 - 택시 운행 중에는 항시 코코택시 앱을 켜 두세요] 1.코코택시기사용을 다운로드 받습니다. 2 회원가입 절차에 따라 회원가입을 합니다. (사전에 서면으로 작성한 가입신청서와 동일하게내용 입력) 3.배차 차량 입력 또는 확인 후 업무 시작 버튼을 클릭 합니다. 4.콜 수신 대기 상태에서 콜택시 호출이들어오면 고객 탑승 위치와 목적지를 확인 하신 뒤 [수락] 버튼을 클릭해 주세요. 5.배차가 성공되면 스마트폰 내 탑재된네비게이션 안내를 받으며 승객 탑승 위치까지 이동해 주세요. 6.승객이 탑승하시면 목적지까지 안전운전 하시면 됩니다. [Municipal public project only] call taxi application "Coco taxi"which connects knight and passenger directly through smart phone Itis very convenient and easy to use because the convenience of thetaxi driver is the top priority. Now you can drive a lot ofcustomers and drive safely through the Coco Taxi app ~ [Advantageof the service - completely free] 1. Coco taxi service is providedfree of charge. 2. Get guidance on your smartphone and guide you tothe exact location of your passenger. 3. You can prevent thedispute in advance by notifying the passenger of the call cost. [How to use - Always keep the Koko taxi app running while you aredriving a taxi] 1. 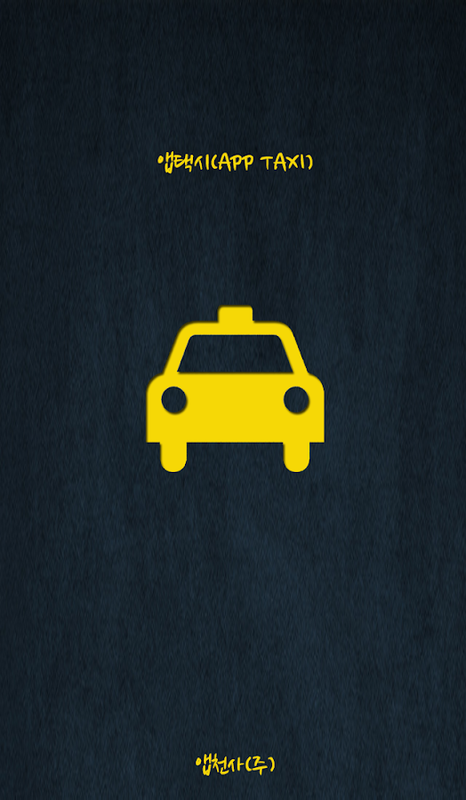 Download the use of Coco taxi. 2 Register as amember by following the membership registration procedure (enterthe same contents as the application form written in advance) 3.Enter or confirm the dispatch vehicle and click the Start Jobbutton. 4. When a call is received in the call waiting state, checkthe customer's boarding location and destination, and then clickthe [Accept] button. 5. If the dispatch is successful, you will beguided through the smartphone's navigation system and move to thepassenger's boarding position. 6. When passengers board, you candrive safely to your destination.